Lee Da-hae: simply tired, or irresponsible actress? Lee Da-hae has quit East of Eden. Her decision comes without warning, and is so sudden that viewers have been caught completely off-guard and are wondering why. Apparently the production is currently consulting with the writer on how to write her out of the show; Lee will probably appear for a few more episodes. (Who wants to bet that insulting the writer in her goodbye message isn’t the best way to get a glorious send-off?) Her action has spawned a lot of speculation among fans, some who would like to be understanding and others who decry her act as irresponsible and unprofessional. It may come as a surprise that Choi Ji-woo has made her first appearance in a period drama in her 14-year acting career with the role of a traditional entertainer or gisaeng. But it happened in the new, contemporary melodrama "Star's Lover." 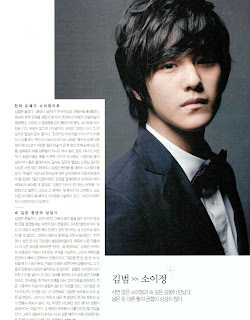 The SBS show started on Dec. 10, and Choi plays a role of top actress Lee Ma-ri. It is, in other words, only a role within a role. The scene sets off her beauty in traditional clothes and a folding screen with ume flowers. With her hair braided up, Choi looks like a painting that has just come alive. Production staff said Choi looks as if the legendary Chosun-era gisaeng Hwang Jin-yi came back to life. Although Choi only appears only for a few seconds in this outfit, she spent three hours in makeup and getting dressed. "It was a bit disappointing as it was such a short scene, but now one of my dreams has come true: I've made my first appearance in a period drama," Choi said. Two musicians who retired from their musical careers for different reasons join together with a demanding and difficult genius conductor to form an orchestra against all odds. 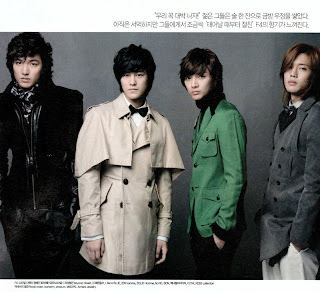 Although it requires a lot of hard work to form their orchestra, they keep chasing their dreams of doing what they love the most in the world and this gives them great satisfaction. Three young and old people with different personalities and life experiences gather together under a common dream and they find love and the room to forgive each other as they eventually earn each other’s respect. The drama exudes a positive energy. Stud actor Go-su has decided on his next work. It’s going to be a drama titled “Into the White Night,” based on a Japanese novel of the same title. Go-su will play the leading character, who becomes a fugitive after accidentally killing a man. Having completed his military duty last April, this hunky actor has been looking for just the right vehicle to make his comeback. He has been out of the spotlight for over 2 1/2 years since March 2006, so his fans have been really looking forward to his return. The Japanese drama version of “Into the White Night” was aired in 2006, creating a sensation among Japanese viewers with its provocative and unconventional storyline. Beethoven Virus is a popular drama series on MBC that aired its final episode on Wednesday, November 12. 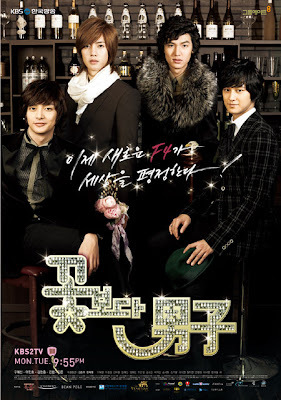 The show recorded an impressive average viewer rating of 20 percent. It drew significant attention from viewers and critics because it revealed the lives of classical musicians in an orchestra—a relatively fresh topic for a TV drama series. The series garnered a lot of attention right from the start with its cast. 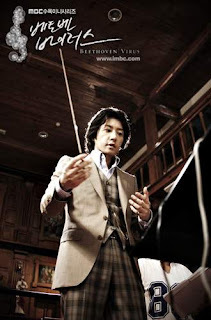 Maestro conductor, Kang Ma-eh, was played by one of Korea’s leading male actors, Kim Myung-min, who rose to fame with his critically acclaimed role as Admiral Yi Sun-shin in the 2004 history drama series entitled ‘Immortal Yi Sun-shin’ on KBS. 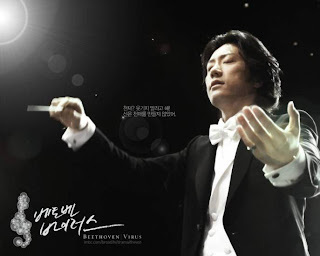 In ‘Beethoven Virus’, Kang Mah-eh is portrayed as an elite forty-year-old orchestra conductor with a notorious reputation for his rough personality and sharp tongue—hence his nickname ‘orchestra killer’. He believes classical music was created strictly for the nobility. 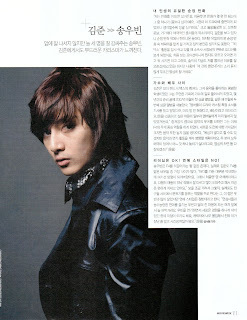 Younger-generation TV viewers raved over hunky young actor Jang Geun-suk, who played the role of Kang Gun-woo, a traffic police who was born with a gift for music. He doesn’t even know how to read a music score, yet he possesses a natural talent for playing the trumpet simply by ear. 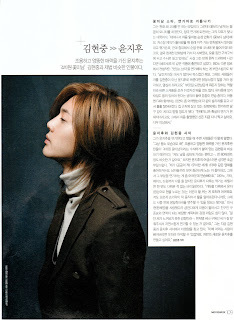 He eventually joins a project orchestra through a friend’s recommendation, which gives him an opportunity to open his eyes and ears to music and conducting. Even the press conference held prior to the regular televising of the drama series surprised fans with a classical concert complete with a full-scale orchestra. 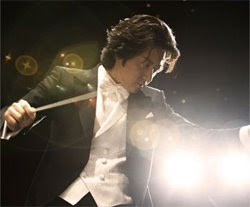 Kim Myung-min conducted the orchestra himself when it performed Ennio Morricone's Gabriel's Oboe and Brahms' Hungarian Dances in front of reporters and fans who flocked to the venue. 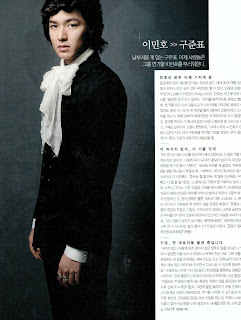 Renowned musicians made cameo appearances in the drama, including piano prodigy Lim Dong-hyeok as himself and another by popular Korean-American violinist Richard Yongjae O`Neil.